Picture shows Fokker F.III G-AARG at RAF Worthy Down, shortly after the author acquired it. It still bears the colours and markings of British Air Lines, and there is a large split in the fuselage fabric just forward of the tailplane. ’ARG out in the countryside, probably during the Brighton run. 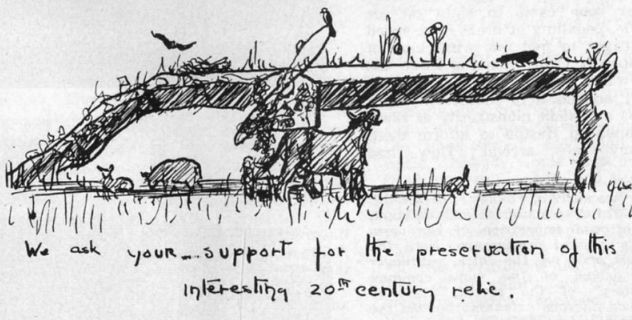 The sketch sent to the author some time after he had abandoned his Fokker near Cheltenham.